I finished Random Thoughts by Drawn Thread on the 13th of this month. It has been sitting around as a UFO for quite awhile. 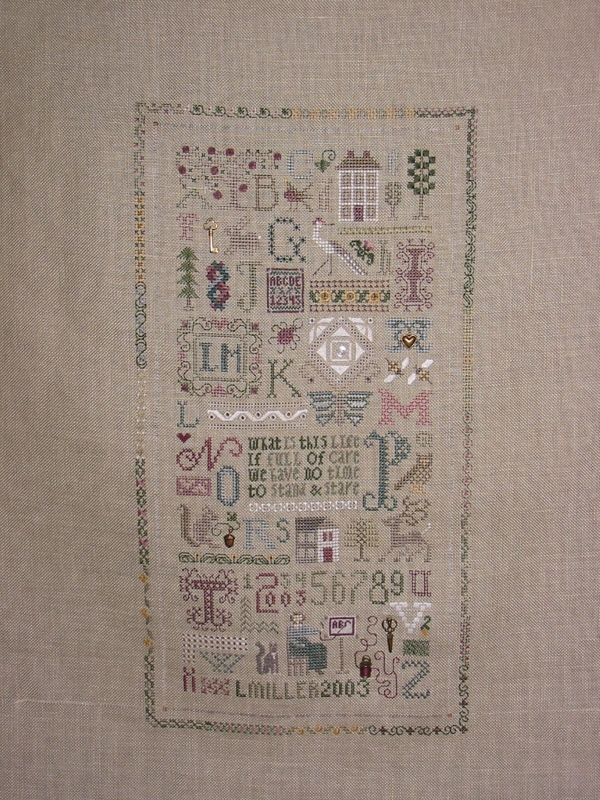 I did most of the stitching in 2003 but the outer border sat for along time. All I have left to do is the finishing – the hemstitching to make it into a bellpull and put on the bellpull hardware. I started the hemstitching today so when I finish this part I will put up another photo.